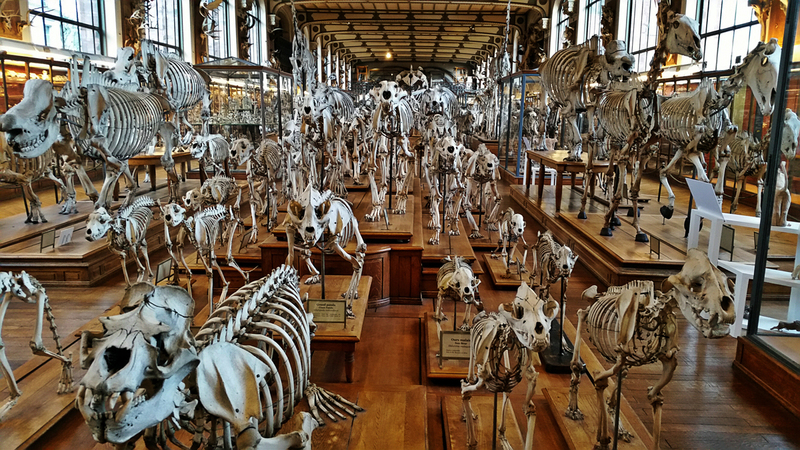 Last weekend I had a fantastic visit to Paris and my wonderful wife gave me the best Valentines Day gift in the world, by taking me to the spectacular Galerie d’anatomie comparée et de Paléontologie. As you might have guessed, I was in bone heaven and had to be dragged out by security at closing time – but not before taking hundreds of photos of the incredible collections. As usual you can put your suggestions, thoughts and questions in the comments box below. I hope you enjoy the challenge! And isn;t that museum absolutely fabulous?? Did you get to the Honore Fragonards’ museum at the veterinary school… just fantastic… Heaven, yes! It’s fantastic! I’ve never seen such a comprehensive collection of comparative osteology – I could happily squirrel myself away in there for decades! Is it perhaps a Fossa (Cryptoprocta ferox)? Maybe It`s some species of a bear? Bears tend to have slightly less slicing premolars. Looks a lot like a badger to me. The back side doesn’t seem to fit exactly, though. 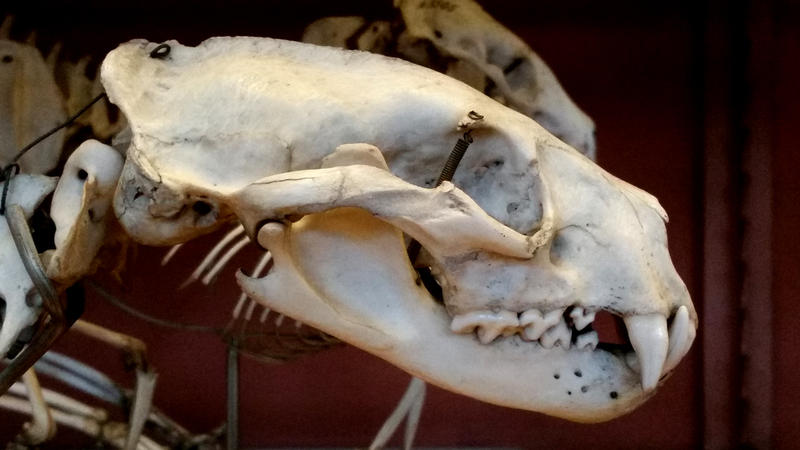 It is a bit badgery, although like bears, they tend to have flatter premolars. The upper premolar tooth count (3 seen here) is the same to a certain hyper-carnivorous group of carnivores, and the lower jaw shape is very reminiscent of a big roaring type…but the long face doesn’t add up. So what other carnivoran group has 3 premolars? Without the scale, it’s not that easy to identify, but I suspect it’s from a certain island? love love love that museum. I got good pictures of the orangutan because it’s on my list of animals to make. Natural history collections are a great resource for artists – we have some decent primate skeletons on display at the Horniman if you’re ever in the London area and need inspiration! Wonderful! I will remember that for the future. Fortunately I am an hour away from the Museum of Nat Hist in DC…I went there a few weeks ago to research the kangaroo that I am currently making. Looks like other people are confident of a (plausible!) identification I wouldn’t have been able to make on my own. Some people use mental foramina as characters, but I personally don’t hold that much truck in them, since they can be very variable within a species – in fact, they can differ in number between the right and left side of the same specimen! the 3 premolar tooth count typical, feliformia shaped hyper carnivorous carnassial would suggest a cat but the shape of the skull makes me strongly believe that this cryptoprocta ferox the largest native predator in madagascar. The size of the sagital crest suggesting a powerful bite to subdue larger prey is also telling.